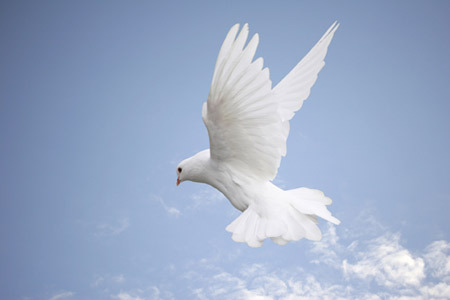 dove much more intriguing than the modern day archetype. harmonizing the apparent duality of sexuality and spiritual love. from sexual and emotional love. undeniable relationship between the two aspects of human nature. associations are distant today, and frowned upon by more "conservative"
organizations and religious belief systems. But why the dove? How does a quiet, ground-feeding little bird come to evoke such potent imagery from culture to culture? contentment and joys of domestic bliss. perching nearby as a loyal companion and sometimes, an alternate form. a powerful message to the human spirit. Witchcraft ... Is a spiritual path..... You walk it for nourishment of the soul, to commune with the life force of the universe, and to thereby better know your own life.